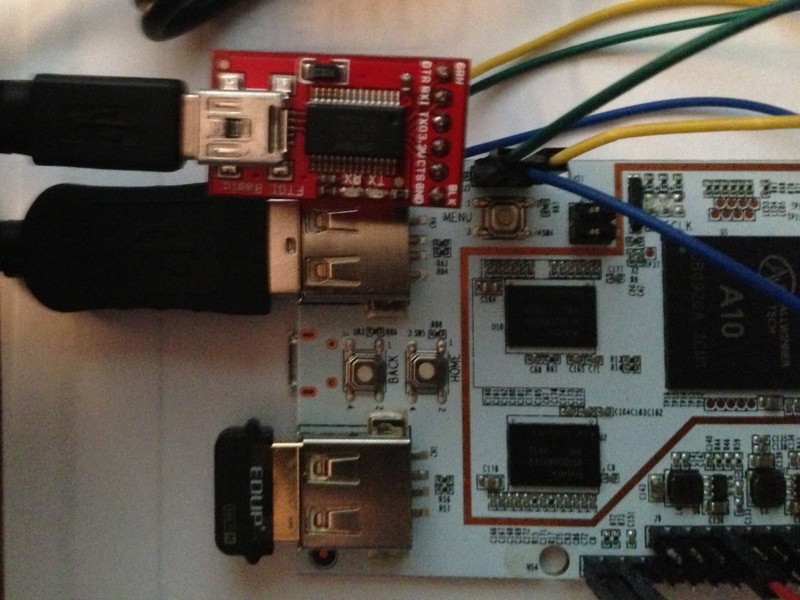 This evening I decided it was time to check out the boot loader and boot command options on the pcDuino. 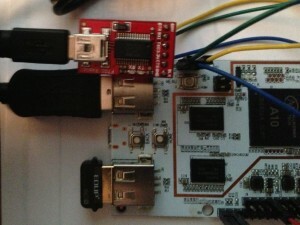 To access the serial port on the J5 debug port I used a Sparkfun FTDI Basic Breakout-3.3v — a simple to use logic level serial to USB interface. With the power off and the FTDI Basic disconnected from the computer, I connected the serial lines and ground.